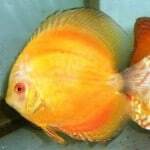 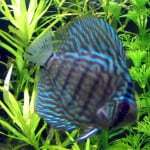 Blue Diamond Discus – Symphysodon Aequifaciatus sp. 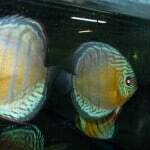 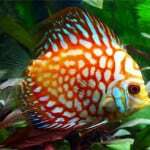 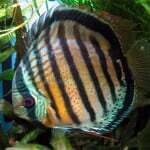 Additional Information: There are almost too may different color variations of Discus with new ones coming out all the time. 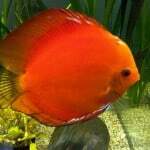 They are not difficult to keep as long as water parameters and temperature are to their liking. 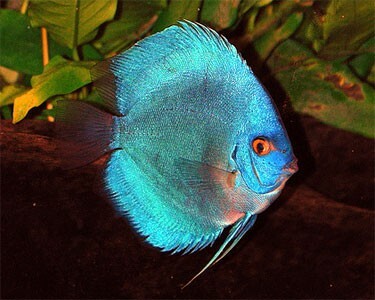 They can be a shy fish, because of this the aquarium should not be placed in high traffic areas where people are always walking by. 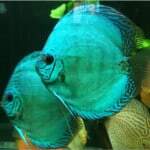 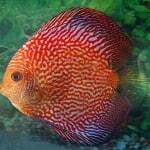 A novice fish keeper will have better success with Discus that are larger than 3 inches in size.